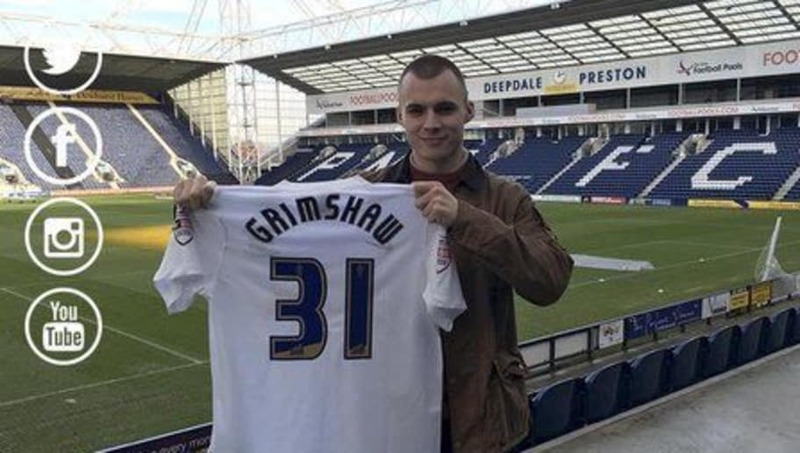 ​Preston North End have formally completed the signing of 20-year-old Manchester United midfielder Liam Grimshaw, making him the third player to make the switch from Old Trafford to Deepdale in recent weeks after Sam Johnstone joined on loan and Ben Pearson followed for £100,000. The versatile Grimshaw, who also spent some of his youth career as a centre-back, has signed a two and a half year contract and will wear the number 31 shirt for his new club. A United player since the age of seven, Burnley-born Grimshaw never played for the club's first-team. Having spent the first half of this season on loan with Motherwell for whom he made 14 appearances in the Scottish Premier League, he's now ready to kick-start his senior career. "This is a chance to get my career going," he told PNEFC.net. "It is great to be back home in Lancashire and I am looking to get settled and start to kick on with my career. "I followed Ben's (Pearson) progress as well and it is the same situation - we have gone out and managed to play some league games and now we have got our moves." Grimshaw is hoping to make an impact in the Championship and is keen to be yet another success story of a Manchester United player making the switch north to Preston. "If you look back over the last few years there have been people like Danny Welbeck who have come here and of course David Beckham when he was younger," he said. "There have been a lot of other permanent signings from Manchester United as well and hopefully this is a good chance for me to come here, play and improve." A statement from the player's now former club read, "We're wishing the best of luck to Liam Grimshaw as he departs Manchester United to join Championship side Preston North End."